With the onset of fall in North America, leaves are changing color and dropping from trees, the temperature is getting colder and the days are getting shorter. For a growing number of the American population, stink bugs are beginning to swarm. In the United States, there are a number of stink bug species, however, they are becoming increasingly overshadowed by a stink bug native to Asia, the brown marmorated stink bug, which first appeared in southern Pennsylvania but now breeds in at least 15 states with sightings in another 25 more states. According to CBS News, the stink bug has now become a pest on Long Island and may soon be invading homes in the area to stay for the winter. Master gardeners at Cornell Cooperative Extension have spread the word to homeowners to seal cracks, close screens and windows, inspect eaves and chimney flues and keep stink bugs outside. The swarms and stench of stink bugs are only part of the problem. Brown marmorated stink bugs are a crop pest in Asia, and they're especially destructive in North America due to a lack of natural predators. They spend the summer ruining commercial crops like tree fruit, corn and soybeans, then flock into people's homes by mid-October to ride out the winter. The most destructive year thus far was 2010, when stink bugs caused $37 million in damage to Mid-Atlantic apple farms alone. Thus far, 2013 has a sinilar surge in stink bug destruction following a one-year increase of 60 percent of the population that was reported in March. The largest concentration is still located in the Mid-Atlantic states, the infestation has begun to spread west and scientists are expecting "buckets full" of the stink bugs in Wisconsin, for example, and Sacramento is now home to what may be the first reproducing population in California outside Los Angeles County. Chuck Ingels of the Cooperative Extension office in Sacramento County said: "This is one of the worst invasive pests we've ever had in California," where a major outbreak was recently discovered. "These bugs aggregate in such numbers that there are reports of people using manure shovels and five-gallon buckets to dispose of them. 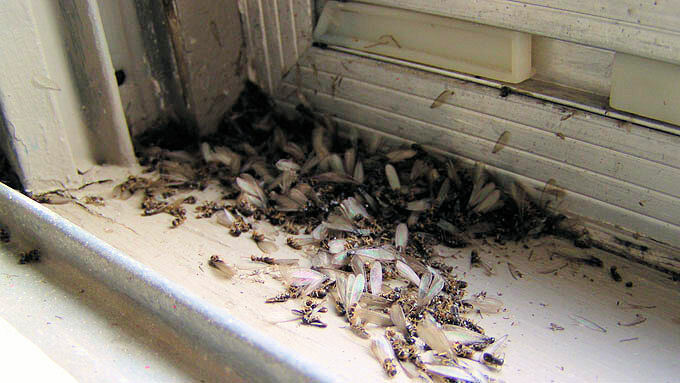 The strong, unpleasant odor the insects emit when disturbed makes cleanup still more daunting." Brown marmorated stink bugs have larger bodies than their native American cousins, but, according to a fact sheet from Penn State University's entomology department, these stink bugs also seem to congregate in much larger swarms. When discovered inside a house some homeowners will attempt to scare or squash the insects which will trigger the insects namesake defense mechanism and a disturbed swarm has the ability of stinking up a house for days. The good news is stink bugs don't reproduce indoors, and they don't cause any direct harm to people. What is unsettling is the skunky smell that a stink bug produces, however beauty is ultimately in the nose of the beholder. Penn State entomologist, John Tooker says "Some people find the smell bothersome, whereas others claim it is somewhat pleasant, smelling like cilantro." A stink bugs appetite is altogether a different story especially since the brown marmorated stink bug eats so many different types of crops and often bypasses conventional pesticides. "Chewing insects are easier to kill because they can consume large amounts of plant tissue that has been treated with insecticide," Tooker explains. "Stink bugs insert their mouthparts into fruits or plant stems and bypass most of the insecticide residue on the plant surface. Thus, residual activity of insecticides against stink bugs tends to be weak, and adult bug populations may reinvade fields following treatment." Representatives from Top Quality Exterminating have dealt with stink bugs over the last few years and that expectations are high that the population of the insects will continue to rise over time. 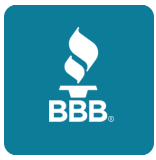 Contact Top Quality Exterminating if you see or suspect a stink bug infestation around your home. We are experienced in all forms of pest control and service Long Island and Queens. The U.S. Department of Agriculture has deemed brown marmorated stink bugs its top "invasive insect of interest," and is now mulling whether to introduce a parasitic wasp called Trissolcus halyomorphae, which naturally preys on the bugs in Asia. The wasp doesn't sting humans, but it does lay its eggs inside stink-bug eggs, letting its offspring devour their hosts once they hatch. Still, since the wasp would also become established, scientists are conducting lab trials to make sure it won't decimate native species. The USDA also recently organized an online census called the "Great Stink Bug Count," hoping to capitalize on the popularity and efficiency of citizen science to monitor the stink bug's spread. But according to Consumer Reports, that effort — like many scientific endeavors across the country — is now sidelined by the federal government shutdown.